We specialize in providing packaging manufactured from thermoformed rigid plastic, injection molded plastics and flexible packaging materials. Food packaging in PETE, CPET, PP, HIPS, HDPE, PLA, OPS, Aluminum and barrier materials. We offer over 3000 stock SKU's used in various food categories such as deli, meat, bakery, Home Meal Replacement, frozen foods, salty snacks, candy and confections and retail markets utilizing Tamper Evident and sustainable packaging. We use a team approach to insure the best type of packaging is used for your product. Our specialty is custom packaging paying attention to detail throughout the design, concept, sampling, and production tooling process. Tamper Evident designs as well as sustainable earth friendly packaging are always evaluated and utilized. Across the globe our flexible packaging supplier is the only integrated company of its kind in the world. It has mastered all packaging related competencies to control and direct the dynamics of the ongoing flexible packaging revolution. The dPI core effort is to provide flexible innovative solutions. 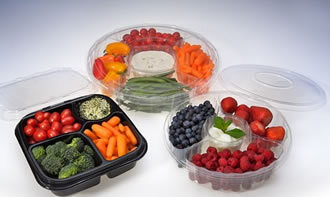 Food packaging in PETE, PP, HIPS, HDPE, PLA, OPS, Aluminum and barrier materials. We offer over 3000 stock SKU's used in various food categories such as deli, meat, bakery, Home Meal Replacement, frozen foods, salty snacks, candy and confections and retail markets utilizing Tamper Evident and sustainable packaging. We use a team approach to insure the best type of packaging is used for your product. Our specialty is custom packaging paying attention to detail throughout the design, concept, sampling, and production tooling process. Tamper Evident designs as well as sustainable earth friendly packaging are always evaluated and utilized. Across the globe our flexible packaging supplier is the only integrated company of its kind in the world. It has mastered all packaging related competencies to control and direct the dynamics of the ongoing flexible packaging revolution. The dPI core effort is to provide flexible innovative solutions. dPI promotes and provides training on Green Sustainability. Protecting our environment and using consumer packaging solutions that promote sustainability is a key responsibility and commitment for dPi. We strive to provide packaging that not only performs well but is friendly to our environment. We continually look to provide the best package for our clients utilizing the lightest weight and most recyclable materials. 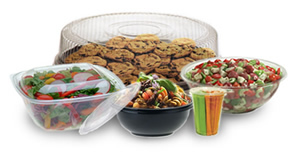 All of our disposable plastic food packaging products are BPA free ecofriendly.